One of these larvae have pupated, I think on 23.III.2007, since I last checked the larva on March 22. 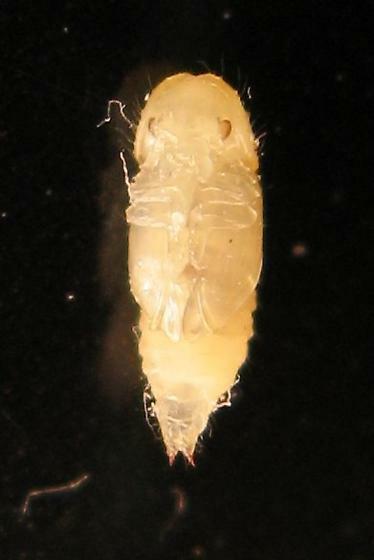 It had attained a length of approximately 5 mm prior to pupation. I found it interesting that the pupa is finely hairy, and that it retained the terminal hooks possessed by the larva. Moved from Minute Tree-fungus Beetles.